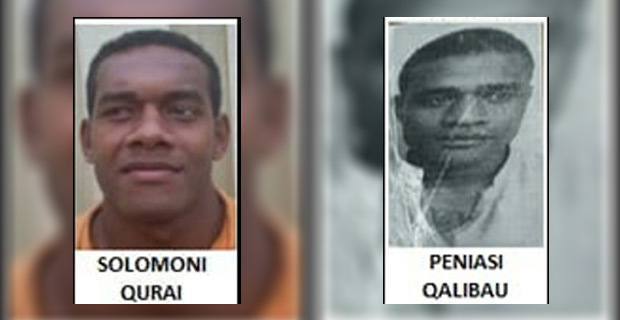 Two of the prisoners who escaped from the Naboro Maximum Security complex, Solomoni Qurai and Peniasi Qalibau have been charged with one count each of Damaging Property and Escaping from lawful custody. 33-year-old Qurai was serving time for murder while Qalibau was serving time for aggravated robbery at the Maximum Corrections Centre in Naboro. The two were part of the seven prisoners who escaped from the Naboro Maximum Prison on the 24th of last month. They had been admitted at the CWM Hospital for the injuries they sustained while escaping from the prison. The five other prisoners Ulaiasi Qalomai, Filipe Delana, Mesulame Waqabaca, Josaia Usamaki and Bainivalu Tuimatavesi were charged last week.